Are you looking for a place to eat or a place to stay when you visit the north Georgia or western North Carolina mountains? Listed below are trusted companies that we work with and love to refer people to when we get the chance. Whether you are in the mood for the freshest chef-prepared pub fare in town or looking to whet your whistle, Blue Ridge Brewery is one of the hottest brewpubs in downtown Blue Ridge. In addition to our delicious food and expansive beer menu, customers who join us on Friday and Saturday nights are treated to great live music from some of the southeast’s hottest bands and vocal artists. Located in the heart of downtown Blue Ridge Georgia, Masseria specializes in modern & casual counter-serve restaurant preparing thin-crust pizzas & Mediterranean-inspired fare. Aska Lodge Bed & Breakfast is your ultimate mountain getaway. If you’re looking for luxurious Blue Ridge lodging, yet longing for a DIFFERENT mountain experience, this unique Bed and Breakfast offers luxury accommodations and is only 1.5 hours from both downtown Atlanta and Chattanooga. Toccoa House Properties offers five distinct and private rental cabins, and one glampsite. The properties are all walking distance from each other with access to the river, meadow, and pool. Sink into one of our many hot tubs, lounge beside the heated pool, relax by the Toccoa River on our riverside meadow, or simply sit on the deck and enjoy the peaceful mountain views. JP Ridgeland Cabin Rentals – We have the highest quality vacation home rentals. Our vacation homes are located in some of the most desirable vacation rental communities. Cabin Rentals of Blue Ridge professionally manages rental cabins and vacation homes in and around Blue Ridge, Georgia at the gateway of the beautiful North Georgia Mountains. Everyone has a MOUNTAIN DREAM so follow yours to Cabin Rentals of Blue Ridge, we look forward to meeting you soon! Morning Breeze Cabin Rentals offers luxury year-round cabin rentals in the north Georgia mountain communities of Ellijay and Blue Ridge. 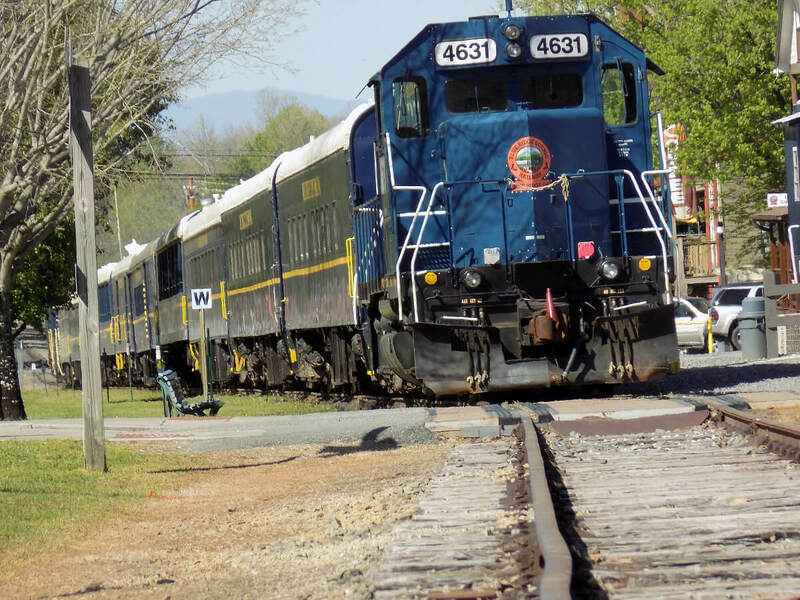 Step back in time as you and your family enjoy a four-hour railway excursion along the beautiful Toccoa River from Blue Ridge to McCaysville aboard the Blue Ridge Scenic Railway. Choose an authentic indoor car, open rail car or Premier Class. Blue Ridge Travel Guide provides information on the best of everything – great places to eat, the nicest inns, lodges and resorts, and fun things to see and do in the Blue Ridge, Appalachian, and Great Smoky Mountains. View the Blue Ridge Travel Guide listing for On the Fly Excursions Blue Ridge Georgia. AJB Home Services is north Georgia’s favorite home services provider. AJB provides expert landscaping services, custom cedar closet design and installation, home and office furniture assembly and much more in Cherokee County, Pickens County, Gilmer County, North Forsyth County and Fannin County. Lanier Tech Pros provides local and national search engine optimization, high quality content creation and other online marketing services for clients in the hospitality, tourism, real estate and home services industries. Lake Erie charter fishing aboard a 41′ Viking charter boat Pooh Bear near Port Clinton, Ohio. Lake Erie Walleye Charter Fishing Sweet Escape Charters offers a fully guided charter service leaving Wild Wings Marina near Port Clinton, Ohio. Guiding for walleye, yellow perch, and smallmouth bass on a clean, private 30’ Sport-Craft. Offering lodging and a boat that will carry up to six fishermen which is fully equipped to drift or troll to catch your limit. We follow the walleye from Lake Erie’s western basin and head east to Huron and Vermillion in the central basin. This will be the friendliest and most memorable experience you will have while fishing on Lake Erie. MarineWaypoints.com is your guide to boating, diving, fishing, gear, sailing, water sports, weather and more!